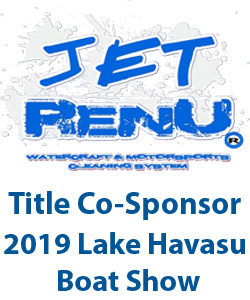 NEW DATES, APRIL 5-7, 2019 Lake Havasu State Park, Windsor 4 (on London Bridge Road) Please complete this form and return with deposit -- an updated boat show floorplan is also available online for viewing. A one-third deposit is required with an application to reserve space. Balance due must be paid on or before March 4, 2019. MAXIMIZE YOUR BOAT SHOW ROI LOWEST COST PER VISITOR/CUSTOMER OF ANY BOAT SHOW IN THE WESTERN UNITED STATES! 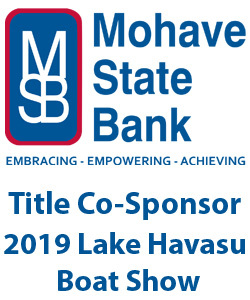 Are you a current Lake Havasu Marine Association member? Would you like to add a banner ad on the boat show website?